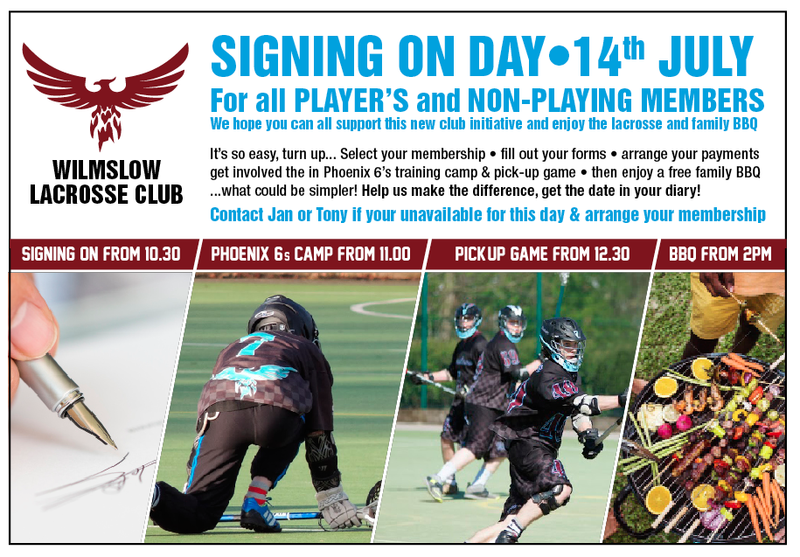 We hope you can all make our new SIGNING ON DAY this Saturday, 14 July 2018 starting at 10.30. Complete your membership paperwork and arrange your payment options then enjoy the day. Any donations towards the raffle or the Salad Table would be greatly appreciated. Last year we introduced our Respect policy for all participants emphasising the expected standards of conduct in relation to participating in lacrosse. We are all aware that protection issues are high on the agenda for all sport. NLC would like to make it clear that we all have a responsibility to do our utmost in ensuring that every person has a right to participate in a safe, sporting environment, and that unacceptable, abusive and violent behaviour is removed from our game. Last year there were a number of incidents that were reported from matches and also through social media posts where individuals demonstrated unacceptable, abusive and violent behaviour. To be clear, such behaviour is totally unacceptable and any incidents breaching our RESPECT, Equality or Safeguarding policies must always be reported to the appropriate League, Regional or English Lacrosse contact for appropriate action to be initiated. 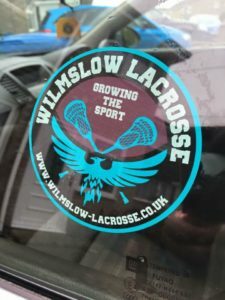 As lacrosse’s popularity increases and more events attract spectators the behaviour of our players and coaches, and other participants in such circumstances need to be considered. Through our policies and procedures highlighted above, we clearly set out our expectations for the behaviour required to further grow the sport. We also need to consider the growth in social media related to lacrosse and be aware that the standards of behaviour expected within a game context also relates to posting of comments and imagery. Clubs are requested to ensure that all of their members are made aware of the contents of the RESPECT Code of Conduct, and that they are proactive in addressing issues within their teams and members, and not wait for disciplinary action to be taken by league committees. 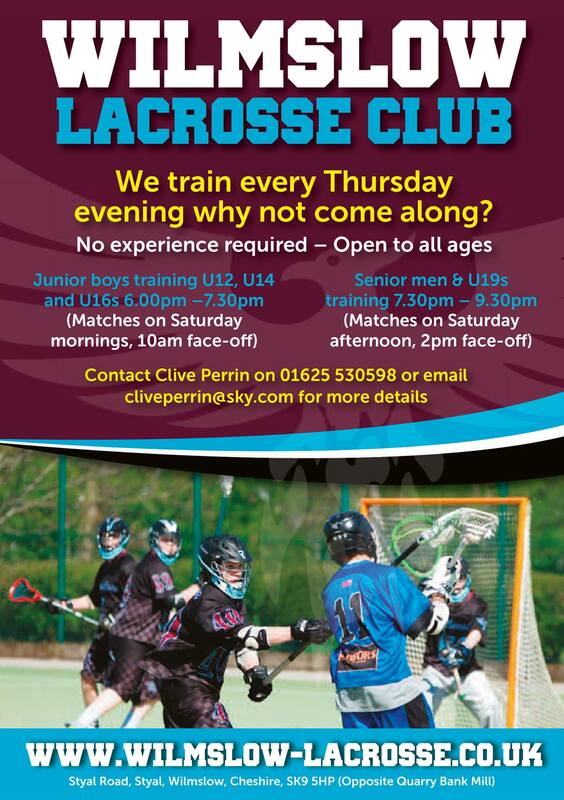 English Lacrosse prioritises a safe environment for young people to enjoy the sport of Lacrosse. NLC would like to remind all individuals and clubs that safeguarding policies must be adhered to by all, regardless if clubs have junior sections or not. Players under the age of 18 participate in senior competitions and the same protection procedures apply to vulnerable adults. Worryingly, it has come to our attention that a number of clubs within our organisation have no safeguarding policy in place, or despite having a policy, do not put it into operation or ensure that best practice is maintained. The reasons for this are varied, but the most common is that Safeguarding is understood to relate to children, and therefore is relevant only to clubs that have junior teams. This is not the case and this misunderstanding has been highlighted by a number of incidents over the last couple of years. Some of these incidents have involved police enquiries, which have highlighted our policies and procedures have not been followed at the local level and this has put at risk the reputation of our sport and the clubs concerned. We cannot be complacent on this subject. As highlighted above almost every senior team in our organisation has the potential to include players who fall within the legal remit of our safeguarding responsibilities. Therefore, all clubs should have a safeguarding policy in place and ensure that the policy is adhered to and that considerations are made in respect of the welfare of players with this being communicated to all members. There is ongoing discussion within the organisation at how we can raise awareness and compliance of our clubs and participants within this area, but in the meantime every club should ensure that it has in place a Welfare/Protection Officer, who is DBS accredited, and has undergone the relevant awareness training. It is also important that those participants acting as match officials have received the relevant level of training for their role, and are familiar with the rules of the game and how they should be applied. More information will be issued shortly regarding this matter, meanwhile all clubs must review their existing protection provision, and the awareness training of key volunteers, as well as ensuring that they comply with current English Lacrosse procedures and age guidelines. EL has already issued guidance to clubs that the playing age for all senior competitions (including club organised events) is 16 for male participants. A review is being conducted by NLC to define the minimum age for females to participate in senior competition, and we would welcome your input into this decision. Guidance has already been issued in respect to the dangers of concussive injury, and clubs should be taking steps to ensure that player awareness of the risks is improved. Consequently we shall be issuing clear guidance to all officials that fouls which deliberately target the head, neck and throat should be considered as very serious, dangerous, and excessively violent and dealt with appropriately, including the consideration of the issue of a straight red card in Women’s matches, and expulsion in Men’s. Head injury policies and procedures are reviewed on a regular basis and it is important that all participants take a collective responsibility to treat suspected head injuries seriously. Why do we need an AED? 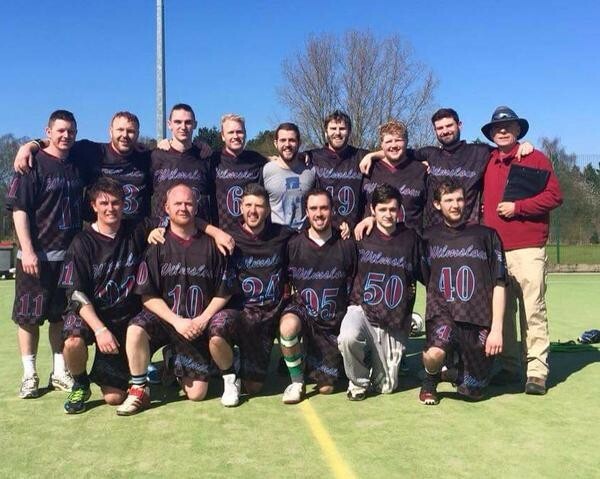 English Lacrosse recommended that all lacrosse clubs have access to an AED. The incidence of Cardiac Arrest within our sport is thankfully very low, even so there have been isolated incidents. There are ongoing national campaigns to ensure that access to AEDs generally is increased. The reason for this is the high proportional success rate linked to the early use of such machines when there is a Cardiac incident. Recovery rates linked to the immediate use of CPR after Cardiac Arrest indicate a survival rate of less than 10%, as low as 6%. CPR is applied to attempt to maintain oxygen and blood flow to the body to delay organ shutdown, it is not in itself a treatment for the condition. When AEDs are used the survival rates are recorded to be as high as 90%. However, this is when the machine is in operation within one minute of the event. Survival rates are thought to decrease by 10% for each additional minute before the AED is used. Issues around the costs of purchase are understood but as machines are available for under £1000 and the availability of supportive funding from a range of organisations this should not be regarded as insurmountable. The Medical Officer has advised that AEDs should become a required piece of safety equipment for our clubs. AEDs should be available, preferably pitch side, but certainly able to be deployed within 3 minutes of a cardiac incident. A number of responses have been received suggesting that AEDs are available within club premises and it is impractical for them to be deployed pitch side. The guidance is very clear that the aim should be to ensure easy and swift access to AEDs in the event of an emergency. All clubs should review their circumstances and ensure that relevant risk assessments and procedures are in place to meet the advised standards. In addition, although AEDs do not generally require dedicated operational training (they are designed to be used by complete novices), it is advisable that all relevant personnel including volunteers, coaches, managers, nominated first aiders etc are made fully aware for the arrangements for access, the reasons for use, and a familiar with the equipment to prevent avoidable delays in deploying the equipment. Where emergency equipment is a shared facility, procedures must be in place to inform all users if the equipment is faulty or cannot be used for any reason. A reminder of the relevant advice and guidelines will be issued annually to all clubs, and requests for advice in respect of the guidelines and the carrying out of Risk Assessments should be directed to the relevant Regional or League body. We hope that you enjoy the new lacrosse season and best of luck! 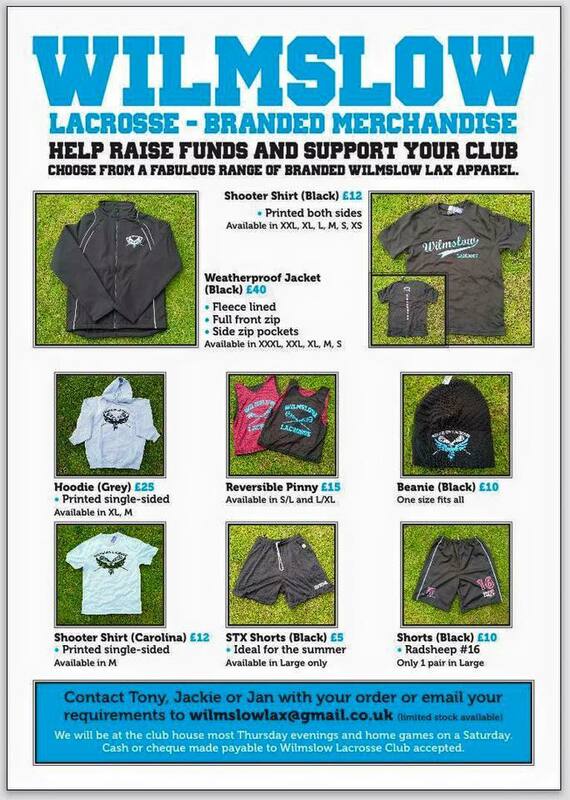 Make sure you have the right gear for this coming season. 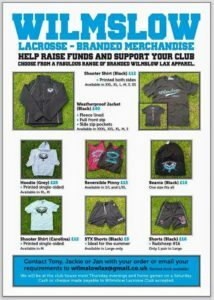 See our available merchandise and contact Jan or Tony with your requirements. See Jan for more details.